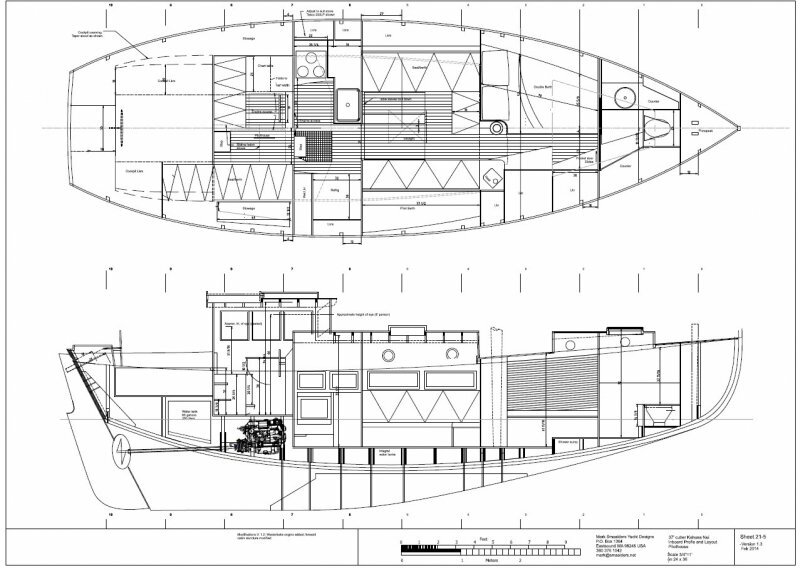 Kahuna Nui is intended for extended offshore cruising and living aboard. She is available as a sailing auxiliary or as a motorsailer with an enclosed pilothouse. 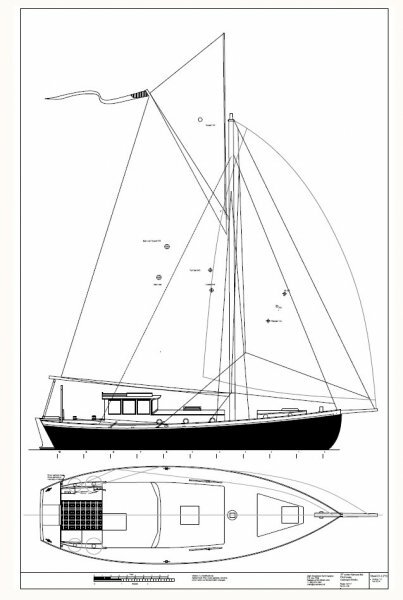 She has a canoe hull for ease of construction, with a full keel for strength and security while cruising. Her hull lines are well balanced, offering good performance in a cruising boat. A gaff cutter rig is standard, with a well peaked gaff to improve performance to windward. The relatively small headsails are easy to handle compared with a large genoa. 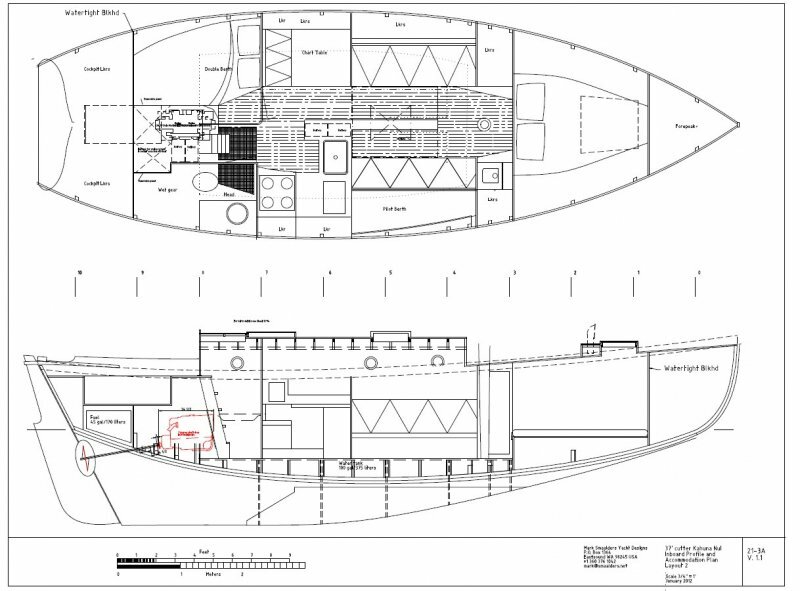 Plans include details for the builder to make their own spars and hardware. Rigging can be spliced synthetic line. Standard construction is a strip planked hull with veneer overlay. Many woods can be used; builders are encouraged to source good local materials whenever possible. She can also be carvel planked. 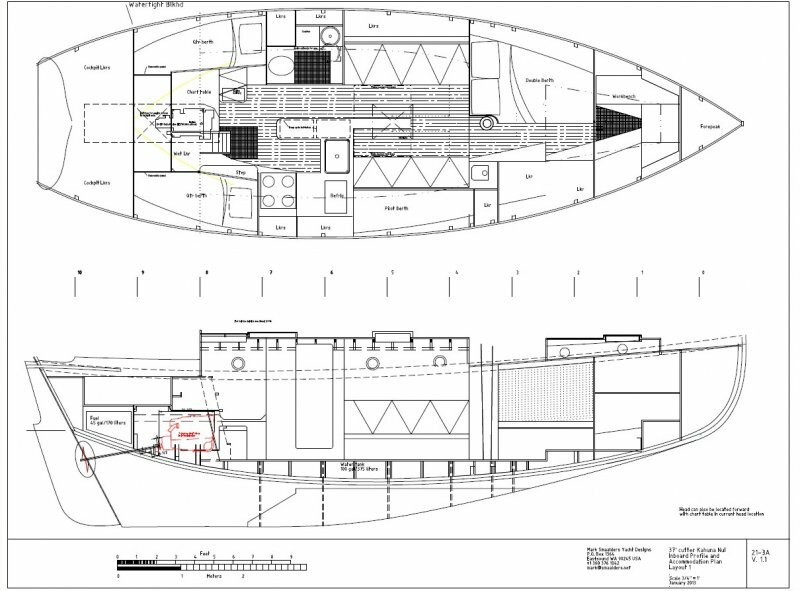 A number of interior layouts are possible, including one with two private cabins. Two boats are currently under construction.